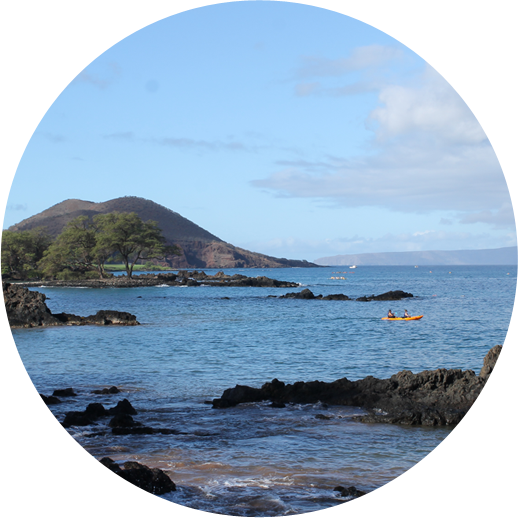 Makena Landing offers access to one of the best, and most unique, SCUBA spots on Maui. 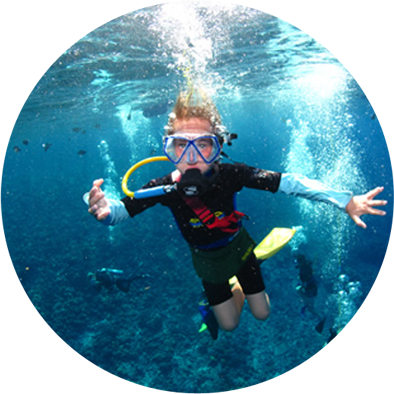 Known in SCUBA diving circles as Five Graves or Five Caves (as well as Turtle Town or Turtle Arches), the ocean area just off Nahuna Point is an excellent dive spot complete with numerous ledges and grottos to explore and a variety of marine animals to discover. There is a vast variety of fish, more so than at nearby beaches. 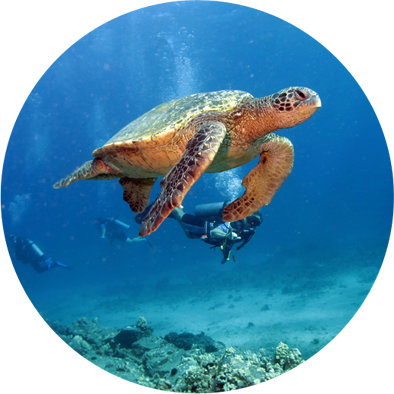 This is also one of the best places on Maui to dive with green sea turtles, as the turtles frequently use the numerous holes and caves in the reef to rest. In addition to sea turtles and colorful corals, don’t be surprised if you come across white tip reef sharks, spotted eagle rays, butterfly fish, eels, nudibranchs, octopus, and even manta rays. 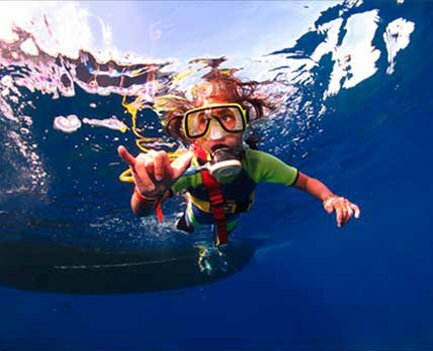 The ocean is typically clear and visibility is regularly between 50-60 feet. 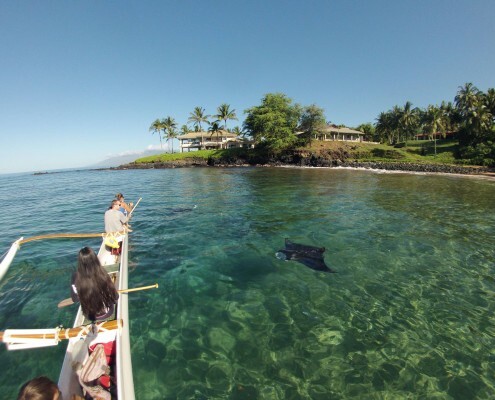 The water depth varies from 10-40 feet, and if you are starting at Makena Landing, you will surface swim for about 200 yards before reaching the dive site. An alternative entry spot a few hundred yards up the road from Makena Landing puts you directly at the “caves”. However entry is via a rocky beach with no amenities or parking lot. Swimming from Makena Landing is your best option with easy entry/exit, showers, and restrooms. 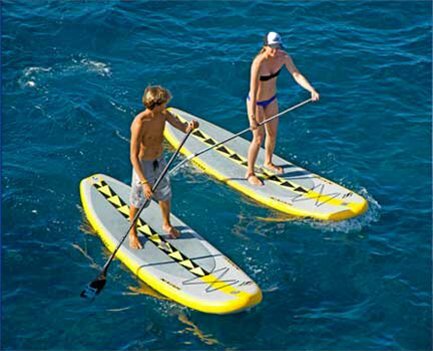 As always with ocean-based activities on Maui, the best conditions will be early in the morning before the strong winds and crowds. Given the many caves of this dive, Five Caves is recommended for intermediate and advanced divers. Divers will want to enter the water at Makena Landing’s sand boat ramp. Once in the ocean, surface swim along the sandy bottomed coastline to the right for about 200 yards (15-20 minutes). At this point you will be rounding Nahuna Point and will come to a series of lava fingers that jut out from the shoreline. 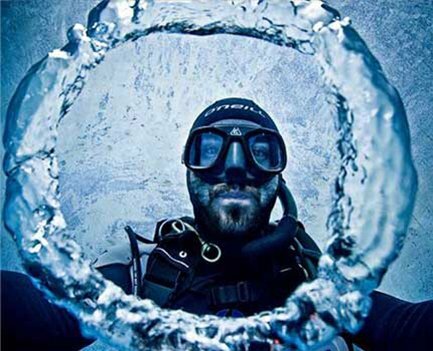 The top of the fingers are quite shallow, while the bottom extends to about 30-40 feet below the surface. One of the first underwater sites you’ll encounter is an arch that provides a fun swim through. Continue around the point to a series of caves and outcroppings. One cave, known as Bubble Cave, has a large air dome and is frequented by sea turtles. Shark Cave has, you guessed it, (harmless) white tip reef sharks – sometimes as many as five. 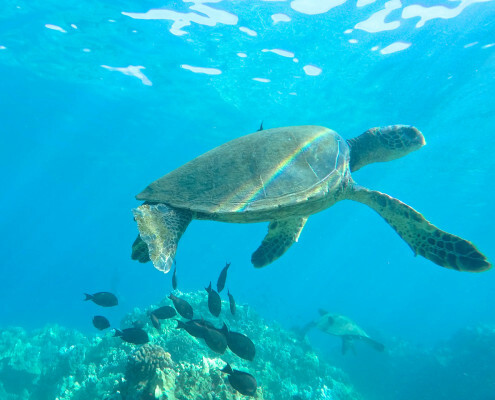 Given the multitude of marine life, endless opportunities to explore hidden caves and grottos, and abundance of sea turtles makes this a must-do Maui dive. 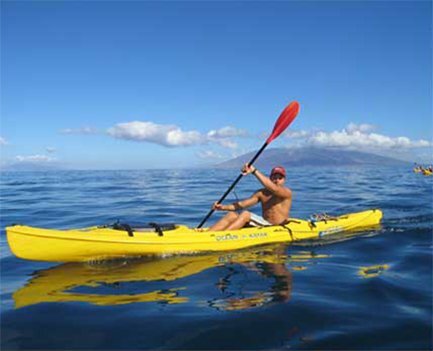 VISIT MAKENA LANDING PARK TODAY!